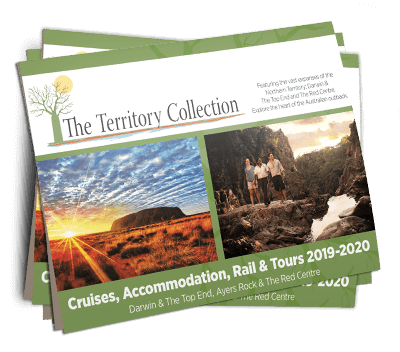 The most affordable luxury wilderness adventure on the Kimberley Coast including an onboard helicopter, award-winning chef, and 25 years experience and knowledge of the region. This 5 day (4 night Kimberley cruise) escape is the perfect duration to add to your existing Broome or Kimberley holiday. Capture the incredible Kimberley Coastline over 5 days, beginning right in the heart of this ancient and majestic wilderness. Experience Montgomery Reef, Raft Point and its intriguing Aboriginal rock-art, Ruby Falls, the stunning Sale River, and the opportunity to see the famous Horizontal Falls from the air. This cruise package includes a return charter flight across the spectacular southern Kimberley, and a scenic helicopter flight. Your Quintessential Kimberley Coast Escape will begin at 6:00am with an early morning pickup and transfer to Broome airport where you will meet your pilot. Take off will be between approximately 6:30am and 7.00am. Your short flight of 1 hour will take you over the beautiful Buccaneer Archipelago where you will fly to the heart of the Kimberley Coast, and on arrival you will be transferred by chopper for a celebrity style arrival on MV Great Escape. Our friendly crew will meet you for a traditional warm welcome aboard. After you have been shown to your luxury stateroom we will meet back in the air-conditioned lounge to enjoy a cappuccino and morning tea while the Captain delivers a familiarisation and safety briefing. Once everyone has arrived we will make our way to Dugong Bay where you will go exploring in the tenders to view waterfalls, swim in a freshwater rock-pool and try your hand at fishing. For anyone who would love to see the Horizontal Waterfalls you can discuss options with our chopper pilot to view it in style! The evening will be cruising over to Raft Point ready for an action packed day of Kimberley adventures ahead. Wake up in the shadow of Raft Point – one of the incredible geographical markers along an ancient Aboriginal ceremonial route in this area. We will head off early to hike up Raft Point to discover an ancient Aboriginal rock art gallery with views over Doubtful Bay that will take your breath away. Or you may like to simply kick back and relax on the luxurious MV Great Escape and enjoy a latte in the cool spa – lazing amidst what is arguably one of the best panoramic vistas on earth! When the hikers return you will enjoy a hearty cooked breakfast as we cruise over to Ruby Falls. Red Cone Creek offers a host of different activities we will enjoy depending on the time of the tides. On the high tide we will head off to Ruby Falls – a favourite Kimberley watering hole. Named after one of our captain’s daughters, it is a great place to relax, cool off and have a swim. Tide permitting, if anyone would like a hike, we can follow the freshwater back to where it heads underground. On the low tide we will gear up the tenders to go in search of the elusive Barramundi. Spending time in the tenders is a great opportunity to watch the intricate activity of daily Kimberley life. You will see a host of flora and fauna with a good chance of spotting crocodiles. The bird life is wonderful and the movement of the tides is amazing as you witness the scurrying life of the critters that live on the mud banks. It is a tranquil and intriguing place to be – out in the tenders feeling the natural heartbeat of the land while waiting for the peace to explode with a great big Barra at the end of your line! Depending on time and tides we may anchor here or cruise for an hour to the next river system – the Sale River. The Sale River is one of the most scenic rivers in this area. Encompassing both tidal estuaries and spectacular sandstone gorges, we have a couple of exciting activities planned for this river. We will fish the morning tide before packing up the tenders for a spectacular cruise down the Sale River. Tide permitting – when we reach ‘where the fresh water meets the salt water’ we will unload the tenders for a BBQ lunch on a sandy beach under a rainforest canopy. Here you can relax in a multitude of small crystal clear pools, fringed with tropical ferns and bushes as the crew stoke up a fire and prepare your lunch. We will need to catch the tide back out to the front of the river. If we have a neap tide we won’t have the opportunity for a BBQ lunch however we will arrange a magnificent swim either here or at Serendipity Pool – another amazing tropical oasis in this river. Once onboard MV Great Escape, kick back, relax and enjoy the cruise back to Raft Point ready for an early morning departure to Montgomery Reef, and also time for you to enjoy sunset drinks under the magnificent Raft Point, radiating a kaleidoscope of colours – golds, reds oranges and yellows, as the sun slowly melts into the ocean. Our chef will cook up a sumptuous meal to end the day’s proceedings and the captain will discuss the next day’s activity options with you. We will be cruising across to Montgomery Reef in the early morning or to accommodate the tide on the day. This amazing natural phenomenon is best viewed on a dropping spring tide, so your captain will aim to make this visit on the day of the largest tidal movement during your stay onboard MV Great Escape. Marvel at the waterfalls of Montgomery Reef in an early morning foray along this unusual reef structure. Discovered by Phillip Parker King in the early 1800’s this area has a rich history. Your crew will share with you some interesting stories that relate to the reef. We will also see loads of turtles grazing on the exposed seagrass, along with sharks and the odd dugong or two. If anyone loves to target pelagic fish, here we can hook into a Giant Trevally, Queenfish, Tuna or maybe a Mackerel. After the tide has flowed back over the reef we will cruise back to Talbot Bay to be ready for our morning transfers. Departure on the aircraft will be between approximately 7.30am and 9.00am. If you would like to experience an early morning activity, the crew will be more than happy to discuss the available options. We will need to ensure you are packed and ready for departure when the aircraft arrives to fly you back to Broome. You will be greeted at the Broome airport by our friendly office staff and transferred to your accommodation if required. If you are departing Broome that afternoon/evening, you are more than welcome to leave your luggage in our office until you are ready to go to the airport. We are confident you will leave MV Great Escape and her crew having had the Kimberley adventure of a lifetime.